Request rate quote- Call Or Email Now! TRANSFLEET is hiring skilled truck drivers to work in the fast paced transporations industry. Truck Drivers for TRANSFLEET can expect above industry average pay, job security and benefits. TRANSFLEET is leasing on skilled Owner Operators. TRANSFLEET Owner Operators can expect above industry average pay, great miles and other benefits. We at TRANSFLEET pledge to do our best to keep America moving with "Just in Time" and specialized services. TRANSFLEET, Inc. Adds new 2019 UTILITY aerodynamic, lightweight air ride van trailers for increased safety, cargo capacity and superior fuel economy. TRANSFLEET, Inc. adds new 2018 Kenworth T680 with PACCAR POWER diesel technology, ergonomic interiors, and PACCAR 12spd automatic transmissions for improved performance. TRANSFLEET, Inc. introduces new satellite tracking on all units for improved customer experience. 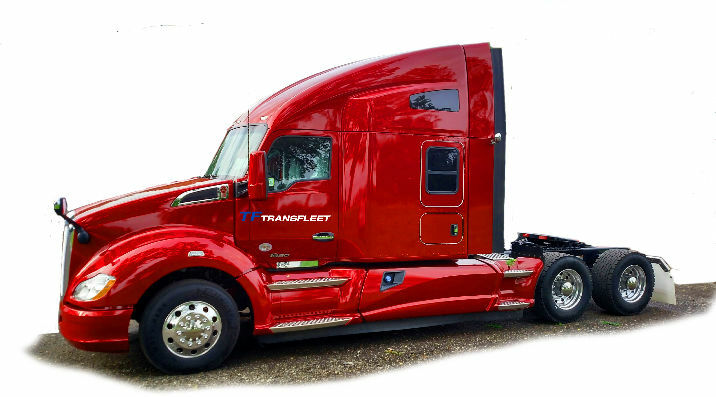 TRANSFLEET, Inc. adds new 2016 Kenworth T680s with CUMMINS POWER diesel technology, ergonomic interiors, disc brakes and Eaton automatic transmissions for improved safety and performance and driver comfort. TRANSFLEET, Inc. completes development on high-tech transportation and heavy-duty diesel truck and trailer repair facility in Perry, MI. The new terminal provides increased safety, and fleet reliability. The new driver area was designed to meet the needs of drivers who run OTR with break area and shower facilities.